A Simple Serger Sewing Machine! 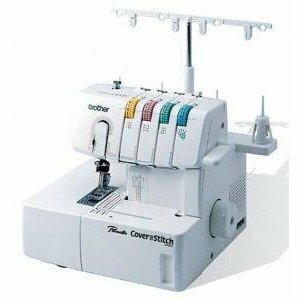 The Brother 1034d serger sewing machine is a great choice for beginners. The 1034d is affordably priced and has a number of nice features for an entry level overlock sewing machine. You’ll learn the basic stitches, the decorative stitches and what to do with all those feet! Learn how to serge, while you make three easy projects–a zipper bag, a ruffled apron and a striped knit scarf. Amy Alan will walk you through the steps for each. Sign up for this fun video course here. 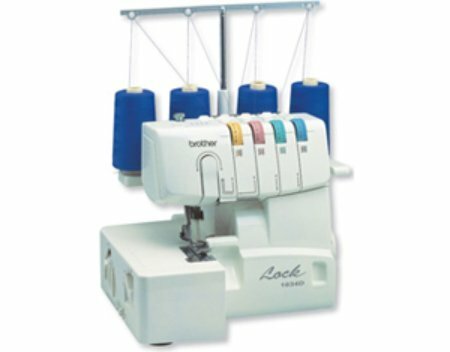 You can use the Brother 1034D serger for overlocking, narrow hemming, rolled hemming, and ribbon locking. Easy lay-in threading – owners consistently like the easy threading, as it is color coded, making it fool-proof for even the most non-mechanical sewer. This is nice for beginners, because threading a serger is one of the most intimidating aspects of using sergers. Shop safely at Amazon and enjoy free shipping if you spend $25 or more. The differential feed control feature gives you consistent results for knits and for thin fabrics like you would use for formal gowns. You can adjust it for different fabrics. Foot pedal – lets you control the speed – easily. Manual and How-to Videos – using both the manual and the videos, most people won’t even need to consider going to classes. The manual and videos are clear and easy to follow. Lightweight – For those of you who are saying, “But I like to go to classes.”, the Brother 1034d serger is only 15 lb, so you could easily carry it to classes, if you choose to do so. Stitches – rolled hem (doesn’t even need an attachment), ¾ thread overlock, 3 thread overlock in 3mm and 5mm widths, flatlock stitch (use for decorative or flat seams) and blind stitch. The other stitches that you can do are adaptations of these. Regular thread option – This is a nice feature. You can use regular spools of thread instead of having to purchase 1000 yard spools. Regular needles – You can also use regular sewing machine needles on the 1034d. So you can use them interchangably with your regular sewing machine. Free arm – If you need a free arm for sewing sleeves or pant legs, you can convert the table to a free arm sewing space. While the Brother 1034D serger is affordable and has nice features for beginners, if you are planning to use it for a business, or you will be using it continuously, it may not be your best choice. 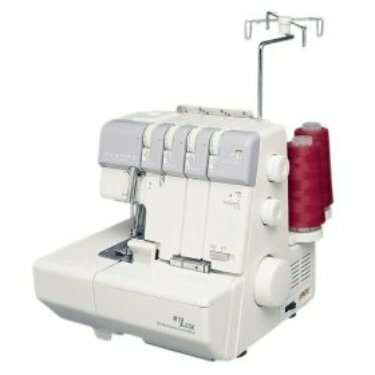 The Brother 1034d serger is not as sturdy as some of the more expensive models, it is limited to 4 threads (simplicity is a plus for beginners), and it can have some vibration. But, priced between $200 and $250, the 1034 serger is perfect for a beginning serger. It is easy to learn on, inexpensive, and does quite a few things for a serger sewing machine in its price range. 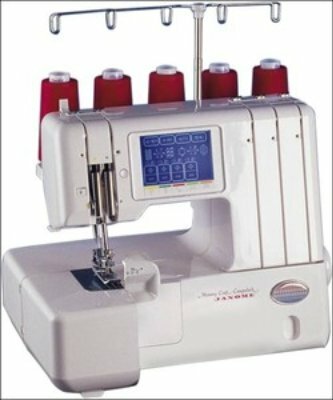 If you are looking for a beginner serger with nice features, you might want to take a good look at this one! Buy the Brother 1034D with confidence, from Amazon.